If you've seen one Western fantasy RPG you've seen 'em all, right? Well, perhaps not, as Outward offers a survival sim combined with an open fantasy world, making for a very different take on adventuring. 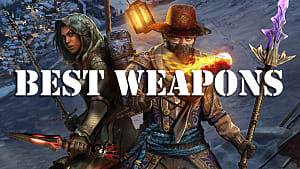 Rather than selling 87 longswords to the nearest merchant on your way to save the world by consuming dragon souls, Outward's gameplay revolves around not freezing or starving to death while keeping your pack light enough to still remain nimble in combat. With this combo of elements, you may already be thinking of Dark And Light, but that's not quite the direction Outward goes. 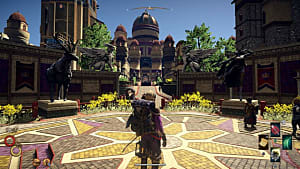 Instead, it focuses on a single player (or co-op) experience in an RPG setting that just happens to be wide and open. 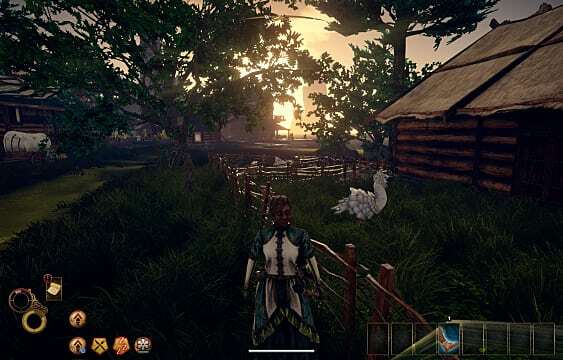 First appearing on Steam Greenlight way back in 2015, there have been some big, bold claims about what kind of game Outward will become, and it has been steadily gaining buzz over the last year. Now that we've had a few days to explore its world, it's time to see if this indie title can live up to its hype. 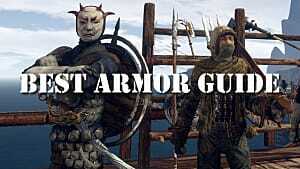 Remember how that first Two Worlds game was basically an off-brand Elder Scrolls? In a lot of ways, Outward feels like the same dynamic — basically it is a small developer's take on open world fantasy. However, it is decidedly more ambitious due to adding in survival aspects. Combining these two core concepts is a big task, and doing so with such a small team leads to some pretty clear rough spots. We'll start by examining those before getting into what makes the game worth playing anyway. Some of these bumps will hopefully be smoothed over prior to launch. For instance, there doesn't currently seem to be a full screen option and choosing any screen resolution just makes the game a really wonky size. Other issues are inherent to the game design and likely won't ever change. This includes the lack of a jump button and the inability to swim — two decidedly odd choices for a survival game. Some polish could also easily be applied to the survival elements. For example, the way resources are harvested feels inconsistent, as some resource gathering requires tools and some doesn't. To get specific, a fish harvesting spear is needed to pull fish out of the ocean, but you can harvest wood from a tree without any sort of axe or machete. While naked and empty handed, you can just walk up and magically pull carved wood out of a tree while it still remains standing. For a game that is super focused on realism, it's also missing some pretty obvious animations. I don't normally harvest wood by pulling a wad of it directly out of the heart of a tree, and, generally, I have to actually pull on new pants for them to appear on my body. That is not the case here. 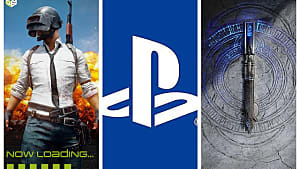 Of course, there's bound to be some aspects of realism that can't be implemented in Outward, but other, more traditional RPG elements are also lacking. Some big overhauls are needed before launch. The most obvious culprit is easily the conversation system, which feels like it's still in Alpha. The ability to go back to previous dialog branches, without completely exiting and restarting a conversation, is entirely missing. This means that you'll end up having to read the same dialog repeatedly if you want to choose different options when questioning an NPC. Being able to access a majority of an NPCs dialogue without rereading large portions of it is sort of RPG 101 level stuff, and there are RPG Maker titles on Steam, made by one person with no experience, that have that little mechanic figured out. It doesn't seem out of line to expect a game from a big name publisher to get basics like this done right. Before jumping into the positive aspects, there's one other major missing component worth mentioning: there's no built-in ability that allows you to compare stats on equipment. This is another obvious staple of any RPG, and it feels like a pretty big step backward to have to manually scroll down to check one item's stats, and then scroll back up to see how they compare to what you have equipped currently. OK, we've gone through the bad, so now lets jump into the good, which is just about everything else in this combination of survival sim and Western RPG. Your character is forced into the adventuring profession when things go awry during an expedition that was supposed to net enough coin to pay off the blood debt accrued by a disgraced ancestor. When the ship wrecks and the cargo all sinks, you find yourself broke and facing down an angry mob who wants to take your home and tan your hide. Of course, there are different ways to go about paying off that debt, from being inducted into a merchant family, to joining a religious order, to just wandering the landscape trying to earn some quick money. 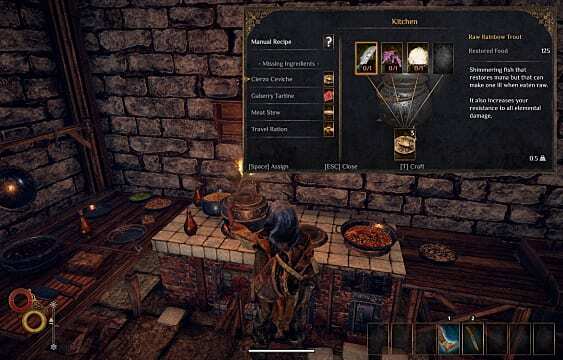 All the while, you have to try to stay alive, and Outward will have you repairing equipment, learning to balance guard time versus sleeping time, crafting traps, and even cooking yourself breakfast. Besides adding in these Ark-style survival elements, there are also several tactical changes that make the combat system a lot harder than your typical RPG. 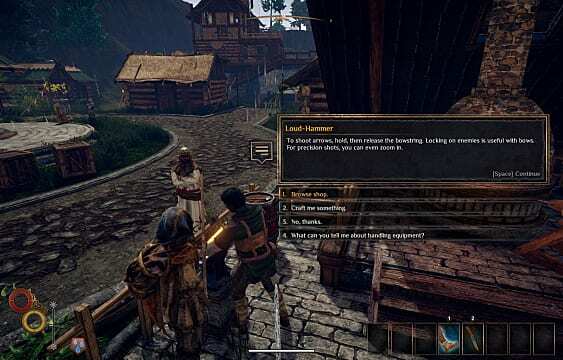 Learning how to use different skills for various weapon types is critical, and the combat feels like a cross between The Witcher and Dark Souls, with a strong emphasis on stamina management. Even the magic system gets an extensive survival system overhaul, as spells are a lot more involved than your typical RPG. This most definitely isn't Skyrim or a Diablo-clone where you just spam the fireball button until you run out of mana. Instead, you have to acquire various components and utilize them in different ways to use your magic. It is an interesting system, although it gets pretty bogged down as you try to be an effective mage. 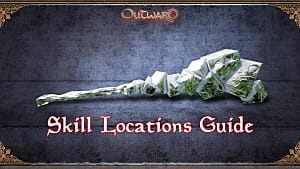 Since you often have to be situated in a magical sigil on the ground for spells to be powerful enough to matter, Outward really reduces the potency and battlefield options of spell casting character. With all of these elements combined, it is really, unbelievably easy to die in this game right from the beginning. In my first playthrough, I got taken out in one single hit from a creature in a cave directly next to the opening area, and when my wounds had healed, I'd run out of time to earn the money I needed to pay off my debt. There's a fun twist here though: death doesn't always mean actually dying. 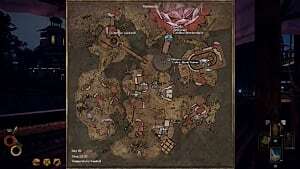 Instead, you can end up in a slaver camp and have to escape with no equipment, or you might wake up half dead in a monster's lair and hope to make it back to the surface without being eaten. Players will also discover plenty of ways to die besides being torn apart by wolves, skewered by trogs in a cave, shivved by bandits on the road, etc. Diseases are rampant, and they range from the common cold (which you weirdly acquire by... get this... being cold) to infections from animal bites. Graphically speaking, Outward isn't the strongest of entries, but the core concepts make up for the lack of eye candy. It wouldn't be too far off to say the game is essentially Gothic 3 but with the harvesting and item degradation found in games like Ark: Survival Evolved. 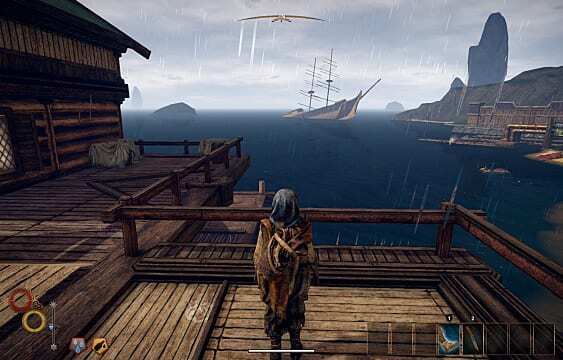 If you didn't like Ark, you may still find reasons to play Outward, as it is way less complicated than other survival entries. For instance, the streamlined inventory is really nifty, and I didn't ever feel like I was going to have to reference 300 pages of wiki to figure out how to craft something. That being said, this is an experience that is still solidly focused around the minutia of survival. If you prefer an epic save-the-world story, this won't be the game for you. 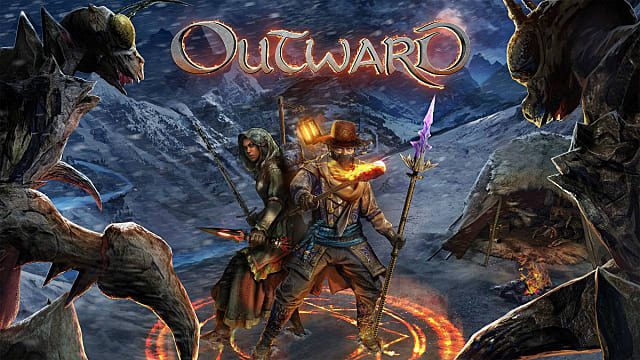 Additionally, Outward's co-op ability may be the game's single biggest draw, and it can even be done through split screen on the console versions or online on PC. Not nearly enough games do that anymore, so its a very welcome return to form with Outward for those who like to sit on the couch with a gaming buddy. Oh, and one final note for those worried about Outward being an Epic Games Store exclusive, following Metro Exodus's lead, can rest easy — the developers and publisher, Deep Silver, confirmed that Outward will hit Steam on release day as planned. Hopefully in the next two months, while we wait on that release date, many of the biggest rough spots can be ironed out. 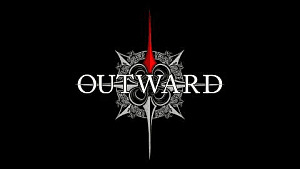 Look for Outward to officially drop March 26.